Female representation on corporate boards in a number of major markets has increased steadily in recent years. 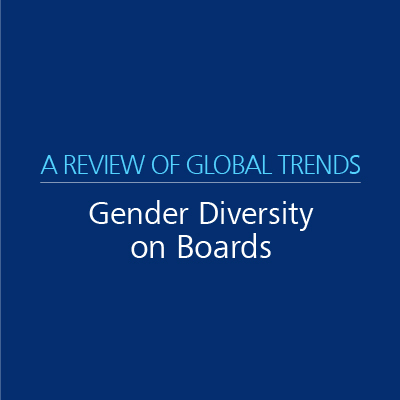 A review of ISS’ QuickScore data for major index firms in Australia, Canada, the United Kingdom, and the United States shows that the largest jump in the proportion of women on boards in markets with no gender diversity quotas occurred in the U.K. at firms in the FTSE 350. Between 2011 and 2014, the proportion of female directors at FTSE 350 firms grew by roughly 8 percentage points. By comparison, female representation grew by almost 4 percentage points at firms in Canada’s TSX Composite index and by just 2.4 percentage points at U.S. S&P 500 companies. As of this writing, ISS has profiled board data at just over one-fifth of firms in Australia’s ASX 300 index for 2014; the preliminary growth trajectory of female representation at this subset of firms shows an increase of about 6 percentage points from 2011 levels.